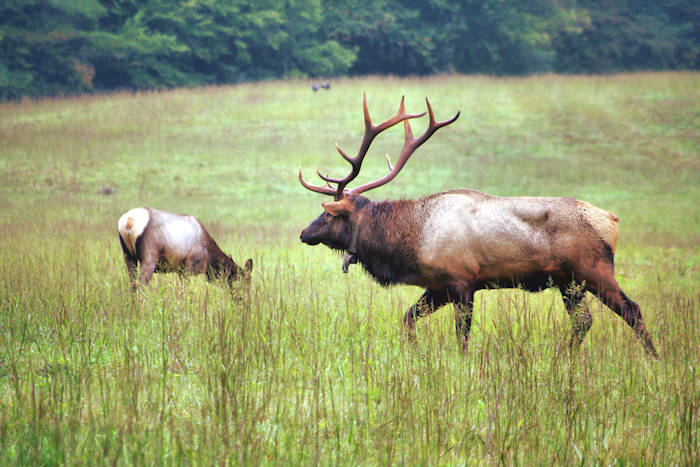 Just 50 miles from Asheville is Cherokee, located in Jackson County at the main North Carolina entrance to the Great Smoky Mountains National Park (via US Highway 441). It is home to the Eastern Band of Cherokee Indians and offers many things to do. 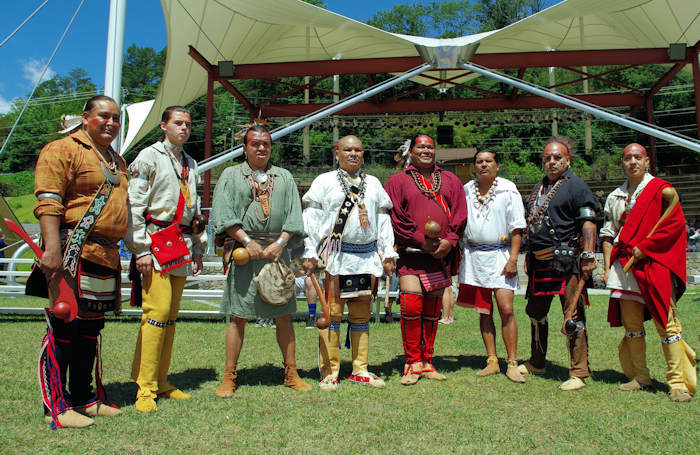 The Eastern Band of Cherokee Nation is one of the only three federally recognized Cherokee tribes. There are about 15,300 members, most of whom live on the Reservation. Properly called the Qualla Boundary, the Reservation is slightly more than 56,000 acres held in trust by the federal government. They welcome all visitors with many free things to do and see. Learn the story of the Cherokee people at outstanding museums, a legendary outdoor drama and at festivals like the annual Pow Wow. Our top picks are the Unto These Hills Outdoor Drama (shows June-mid August) and the Oconaluftee Indian Village (open May- mid November). Open year-round is the impressive Museum of the Cherokee with many events and special experiences. Browse the many shops clustered along two main roads, Tsali Blvd (US Highway 441) and Tsalagi Road (US Highway 19). Stock up on your mocassins and other Native American souvenirs. 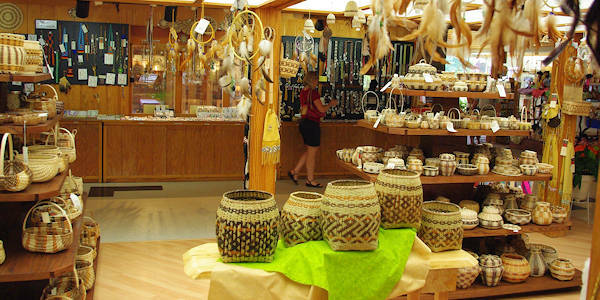 Or buy fine quality crafts such as Cherokee Indian pottery, baskets and beadwork, as well as other locally-made gifts such as dreamcatchers, dolls and woodcrafts. Our top pick for authentic local crafts and art handmade with natural materials is Qualla Arts and Crafts Co-op (645 Tsali Blvd), next door to the Museum of the Cherokee Indian. As the Oconaluftee River passes through Cherokee, it is split by a beautiful, grassy island. 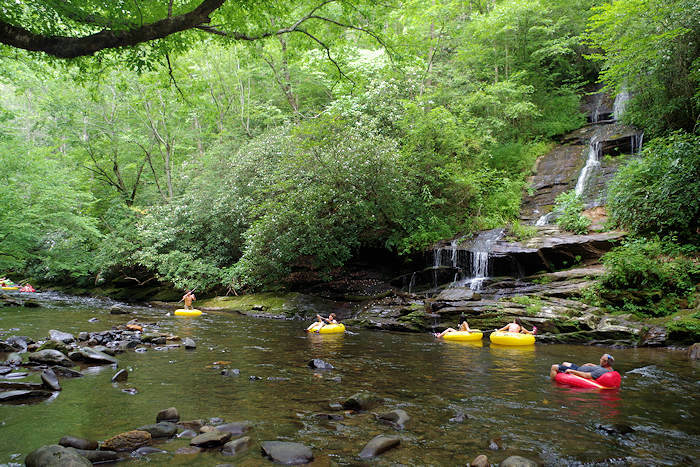 It's home to the Oconaluftee Islands Park – sheltered by canopies of oak and sycamore. Walking bridges connect the island. Wade in the water, have a picnic or sit by the relaxing river. Find it along US Highway 441. 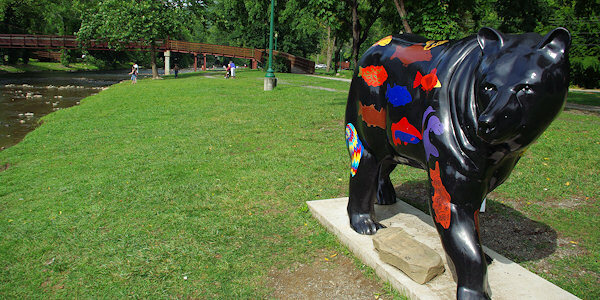 Go bear hunting throughout the town with a series of large, lifelike fiberglass bears and painted in bright vibrant colors and designs. 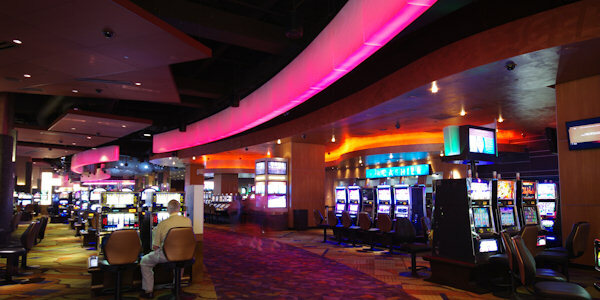 The sprawling Harrah’s Cherokee Casino is operated by the Eastern Band of Cherokee. See our Harrah's Cherokee Casino Guide. America's most popular outdoor drama is the tragic and triumphant story of the Cherokee Indians. Set against the backdrop of the Great Smoky Mountains in Cherokee, the drama is presented under the stars at the beautiful Mountainside Theater nightly from June through mid-August. Experience authentic Indian dancing, drumming and tribal regalia. Dance competitions kick the excitement up even higher. Enjoy crafts, food and fireworks, too. Cherokee is just 52 miles from Asheville via I-40 West to Exit 27, then U.S. 19 to U.S. 441 in Cherokee (just over an hour's drive) via Maggie Valley. Or you can take the more scenic Blue Ridge Parkway, but this could take three to four hours. 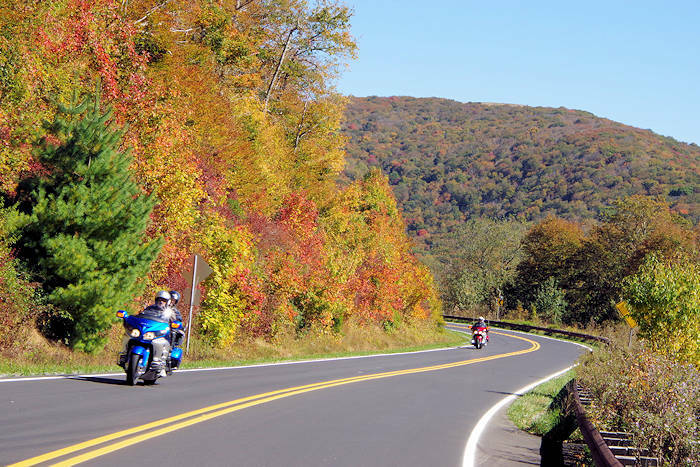 A great day trip is to ride the Blue Ridge Parkway to Cherokee and return the faster way via I-40. Nearby are the towns of Sylva and Bryson City.